The Works, an immersive science museum in Newark, Ohio, partnered with The Ohio State University to add the SciDome Planetarium to their existing facility. 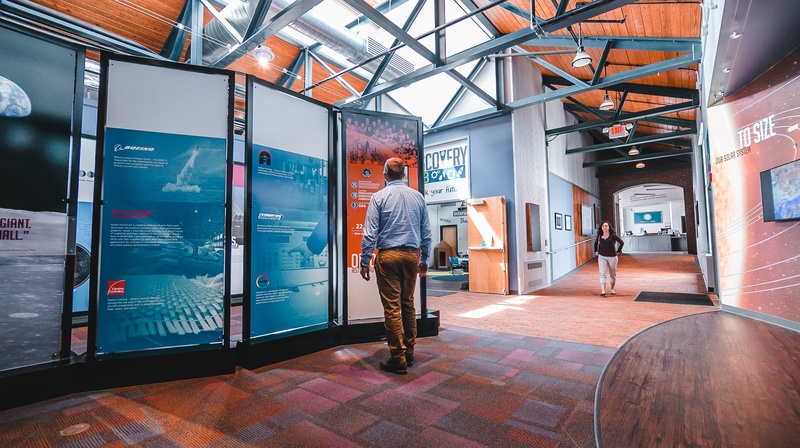 This addition created an opportunity for a captivating entrance exhibit that tells the story of celestial navigation. Upon entering the planetarium lobby, audiences of all ages now experience stunning visual displays which weave together navigation, the stars, and the history of cultures from prehistoric to modern times.